Five months after the implementation of the new parking zone system in Prague, it seems that the idea is a very profitable business. The expenses for maintenance can be paid only with the money taken from “visitors”. The city promises to invest the profit in the development of parking. The councilmen want to change the prices for parking, so that small businesses could actually save money. 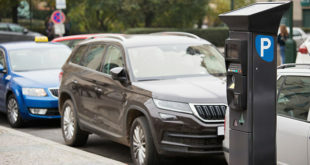 Expanding the system of paid parking for more than 40 thousand spots cost the municipal authority 130 million Czech crowns. And it is sure that the authorities are not losing out on the maintenance of parking in newly-painted streets. This is clear from the first complete set of data about functionality of the parking zones in Prague 5, 6, and 8 and from the area of Jarov in Prague 3. City mayor deputy, Petr Dolinek, evaluates the new parking zones project as successful, because it made it much easier to find parking spots for residents, and because people who are forbidden to park at the spots respect it, more or less. “Drivers without parking permits are not entering the zones needlessly, and that has a positive effect on noise levels and emissions, and also it increases safety on the streets,” he says. At the same time it is clear that Prague will make quite a lot of money on parking zones in the future. Without counting in the abovementioned acquisition expenses, the maintenance and operation of new zones from August to December cost the city only 13.5 million Czech crowns. Visitors paid over 30 million for parking in this time period alone. Prague will, of course, earn more money from the residents, who buy parking permits. So far, the city has issued 44,635 permits in Prague 5, 6, and 8, at a total cost of almost sixty million. The yearly permits are in the highest demand, although even half-annual or trimestrial are still available. The money paid by visitors without parking permits is perfectly sufficient for covering maintenance expenses. Furthermore, the difference between the amount paid by both visitors and residents, and the expenses, will be able to return the acquiring expenses to the city within one single year. “Current pricing is a compromise, which arose from coalition negotiations. 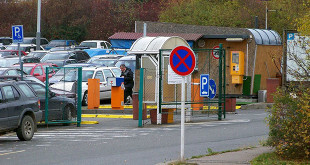 In particular, the Green Party demanded higher parking fees,” Dolinek comments of the tariffs in new parking zones. He also adds that the city will invest “surplus” money back into the development of new parking. He is also sure that it is necessary to work with the pricing and decrease prices of some items by dozens of percent. According to his opinion, such items could be a second family car and the amount that small businesses are paying for parking in a zone. “None of us want the zones to destroy small businesses and self-employed people,” the deputy says. Prague also got some money from the fines and tickets. 5600 people were already warned for transgressions in new parking zones, and 4676 of them were ticketed. Enforcement of payments takes some time though, and so only 2426 drivers have paid their tickets. The amount of money they paid for violating the law is 1.179 million Czech crowns. Over 2 million license plates were already checked with the help of a special camera, attached to a white car belonging to the company Eltodo. City districts should be responsible for pressing the fines in the future, while the municipal authority, which has been dealing with it until now, will newly serve only as a court of appeal – at least, if the board of councilors approves the change. The city districts should start to take care of tickets from 1st May, according to the original plan. This probably will not happen, though. Some city halls already asked the municipal authority to postpone the term further. “The councilmen were deciding about the change only today. That is why we could not start an open competition for recruitment of necessary officers,” explains Jan Korseka, councilman of Prague 2. Also, he says that other technical aspects are not solved yet and he does not want to start a halfway system in May, because it could only give problems to Prague citizens. Prague 2 town hall also wants to postpone the May term towards February of next year. Taking the opposite view, the councilman of Prague 8, Karel Sasek, wishes the change would come as soon as possible. He thinks that the current system, in which the Ministry of Transportation serves as court of appeal, only enables many drivers to completely avoid paying the tickets. This makes many drivers disrespect the parking zones. If we compare the usage of parking spots nowadays with the year 2011, it is clearly visible that parking zones have contributed to safer traffic zones. 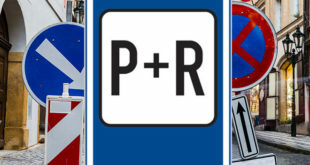 In areas like Dejvice, Karlin, Liben and Smichov, where the demand for parking spots used to be much higher than the actual number of them, the demand has now dropped by about almost one-third. “Now drivers do not spend unnecessary extra minutes in the cars while parking, which contributes to smoother traffic and protects the environment,” Dolinek says. The number of parked cars in the new zones also dropped during night hours. Logically this is not so significant, because most of the non-residents did not park in the streets overnight even before. The difference between the amount of issued permits and available parking spots is still increasing. Prague 5, which has 6360 parking spots in blue and violet zones, already issued 8429 permits; people in Prague 6 with 17,252 spots claimed 22,384 permits; and Prague 8, with 11,397 spots issued 13,172 permits. In all the abovementioned city districts, there are also orange zones and other reserved spots, in which the permits do not make parking easier for residents. If this difference keeps growing, just like happened in Prague 7 before, it could cause parking problems again in the future. “City districts, which have had different parking zones for some time already, will join the new system in February 2018,” Dolinek says. Prague 1 and 2 will do it during this October. 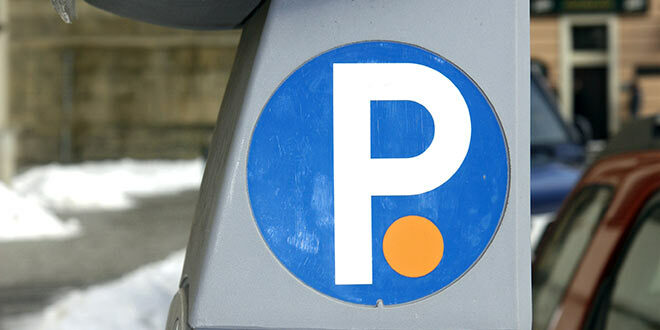 The deputy repeated that the introduction of parking zones in Prague 4 and 9 is not certain. “First I will want to know how they are dealing with parking spots for visitors,” he adds.